The winter weather does more than making you wear an absurd amount of layers or letting your kids stay home from school occasionally. The combination of the cold weather and the dry environment do not make hands happy. And as you turn the temperature up indoors your skin starts to dry up weather you know it or not. Keeping your skin in good condition is important as dry skin can flake and crack causing your skin to bleed. Here are several tips from DOCS Urgent Care of Fairfield, Norwalk, & Bridgeport on how to counteract the cold weather and keep your skin in top condition! Contrary to common belief, moisturizing lotions don’t actually make your hands moist. The lotion just provides a protective barrier to seal the moisture on your skin. So applying lotion to dry hands that are covered in dead dried up skin cells won’t do much good. Instead, use lotion right after taking a shower or washing your hands well in warm water, your hands will be in the best condition to be protected. Feel free to apply lotion after washing dishes, it works miracles! Hands and faces tend to be the most exposed body parts outdoors during winter but they have the least amount of skin covering those areas. That’s why it’s common for hands and faces to dry up so quickly during the winter. Wearing the right gloves can be the best way to avoid skin cracking and flaking. Besides who would want to freeze their fingers off? Make sure to wear dry cloth including your gloves. The chafing from wet socks, gloves or jacket could cause irritation which leads to dried up skin, cracking or even eczema over time. Ski & snowboard gear are a great choice as they keep you very warm and are water proof/resistant. If you can’t afford to get those, making your coats or leather gloves water proof is the way to go. Just as a general back to school health tip make sure to dress your child/children appropriately. Such a simple precautionary step can make a big difference and prevent irritated rashes and children. As we mentioned before, the winter weather naturally causes the air to dry up quickly and does not give your skin a way to naturally moisten. That process only speeds up when we keep our homes warm throughout the season. Humidifiers get more moisture in the air which our skin so desperately needs. Make it a habit to use a humidifier as often as possible. It’s pointless to only use it once in a while when your hands dry up, as dead skin cells will only get in the way of the parts that needs to be cared for. Having a few small humidifiers throughout your house will keep the amount of moisture in the air consistent. Humidifiers are all around great and are good for your health. They help fight against the cold and the flu keeping a good environment for your house. It seems like this tip always ends up in any type of health article regardless what the issue is. Skin is no different, you need a way for your body to hydrate your skin from the inside out. If you don’t have enough water to sweat, your body will overheat at a rampant rate and you not be able to sweat. As tempting as it is to pull out those face masks during a cold winter day being indoors all day, it will cause more harm than help for your skin. All the moisture’s and oils on your face protect the moisture on your face and keep it in place. And as you may have guessed using a face mask will rid your face of the essential oils keeping you from having a dry face. So you just finished shoveling or just came back from a freezing commute and the first thing you want to do is jump into a super hot bath or a sauna. 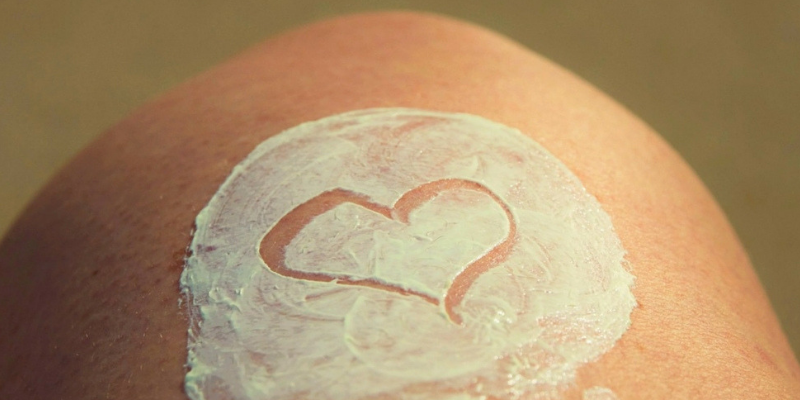 As heartbreaking this may be, it is probably the worst thing you could do to your skin. Your skin will already be dried up at that point and a hot bath or sauna will only further damage your dried skin, drying up the moisture in it even further. Opt for a warm bath which will do good for your skin and moisten it. On the other hand if a sauna is your only option, make sure to spend time in a room with a humidifier. When looking for a lotion or moisturizer opt for an oil based product as it is more effective than a water based product. Oil based products hold the moisture in the skin better compared to water based lotions. Water based lotions may even dry your hands further overtime as it will only cover dry hands and not retain the moisture well. Setting up habits and environments to keep your hands moist is important. There will be times where you may not be able to practice these habits because of work and as a result always end up with dry hands. Leaving dry skin as it is can be dangerous because certain skin diseases can become permanent like eczema and cutaneous candidiasis if not treated immediately. The best option would be to seek an available physician as soon as you can. Calling us at DOCS Urgent Care and asking a trained professional is sometimes the best course of action. There will be many suggestions we will be able to make so moistening your skin will be simple and become routine. Knowing all of these signs to these symptoms are a good way to steer clear from serious disease.